FREE was formally incorporated as a not for profit academic research institute on July 15, 2015 by various retired Ph.D. physicists, scientists and lay researchers to research “WHAT IS CONSCIOUSNESS” by undertaking cross comparative research on individuals who have had various types of contact with non-human intelligence via diverse paranormal Contact Modalities. FREE was formally incorporated as a not for profit academic research institute on July 15, 2015 by various retired Ph.D. Physicists, Ph.D. Scientists, Ph.D. 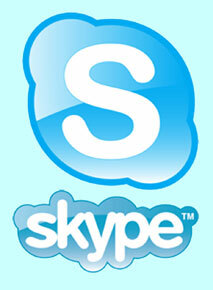 Psychologists, Ph.D. Neuroscientists and lay researchers. FREE is a focused on researching “WHAT IS CONSCIOUSNESS” by undertaking cross comparative research on individuals that are having various types of “Contact with Non-Human Intelligence”. FREE’s Mission will focus on “Research, Education and Support” but we will primarily focus on scientific investigation, through surveys and interviews, on individuals who have had UFO related contact experiences with non-human intelligent beings and eventually to compare this UFO related contact group with individuals that have had other types of paranormal contact experiences through the following “Contact Modalities”: NDE contact, OBE contact, Shamanic Hallucinogenic contact, Mystical Meditation contact, Channeling, Lucid Dreaming Contact, Remote Viewing contact, and other types of human encounters with non-human intelligence, and related paranormal contact experiences. The majority of our FREE Board of Directors, including Dr. Rudy Schild and the late Dr. Edgar Mitchell, hypothesize that all of these diverse “Paranormal Contact Modalities” are interconnected through what is commonly called “CONSCIOUSNESS” and that advanced physics, in particular, the Quantum Hologram Theory of Physics and Consciousness, as developed by Dr. Mitchell and Dr. Schild, can begin to describe the possibility of how all of these diverse “Paranormal Contact Modalities” are interrelated, including the UFO Contact Phenomenon. FREE has been established to provide a working environment for scientists, lay investigators, and first-hand experiencers of non-human contact to enter into collaboration. We believe that by fostering an ongoing conversation between diverse parties, that significant advances can indeed take place. Interdisciplinary partnerships are vital for recognizing and addressing some of the most profound, but often unacknowledged mysteries that confront human society today. FREE is not a Ufology organization. We are not interested in field investigations, analyzing UFO pictures or videos, in conspiracy theories, in historical government archive research, and other “nuts and bolts” aspects of Ufology. Instead, our interest is on how information provided by Experiencers of the various “Contact Modalities” can help to provide insight to “What is Consciousness” and the true nature of our reality which most physicists now believe to be a Multiverse. 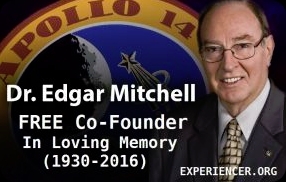 My name is Dr. Edgar Mitchell. I was a member of the Apollo 14 mission which was NASA’s third manned lunar landing and was the 6th man to walk on the moon. I also founded in 1973 the Institute of Noetic Sciences. I am currently a Board of Director of FREE, the Foundation for Research into Extraterrestrial Encounters. FREE is undertaking the first comprehensive multilingual (English, Spanish and French) academic research study on individuals that have had UFO related contact experiences and we are requesting that your organization invite one of our academics to speak at your upcoming conference. Dr. Jon Klimo, a recently retired tenured professor of Psychology for over 40 years is the Chair of the FREE Experiencer Research Study. The Co-Chair is Dr. Bob Davis, a retired tenured professor of Neuroscience. Can you please invite both academics to your upcoming conference so they can present the historic findings of our research study? We have received over 1,800 survey responses and we can send you some of our preliminary findings and our research methodology after we close our study on December 1s t. Our research findings, based on two surveys totaling 600 questions, and formal Interviews, will truly change Ufology and Paranormal research.